A Federal Court of Appeal decision has overturned Canada’s approval of the Trans Mountain Pipeline Expansion. “Canada failed in Phase III to engage, dialogue meaningfully and grapple with the real concerns of the Indigenous applicants so as to explore possible accommodation of those concerns. The duty to consult was not adequately discharged,” Judge Dawson writes in the decision. She also wrote that the National Energy Board made a “critical error” in unjustifiably excluding marine tanker traffic from its review. NALMA is a national organization that actively works towards enhancing the networking and communication, professional development and technical expertise of First Nations Land Management while incorporating First Nations values and beliefs. The annual National Gathering aims to provide leaders, technicians and other stakeholders with new and relevant information and training related to all areas of Land Management. If you or your colleagues are going, please get in touch so we can connect in-person in Whitehorse! It is the Heiltsuk First Nation’s good fortune to have within its traditional territory some of the premier fishing sites in Canada for herring. For the Heiltsuk and other coastal Indigenous peoples, it is a source of both reverence and sustenance. As part of a reconciliation negotiation between the Heiltsuk and the federal government, the Heiltsuk have tabled their desire to manage all commercial fisheries in their traditional territory on their own terms. 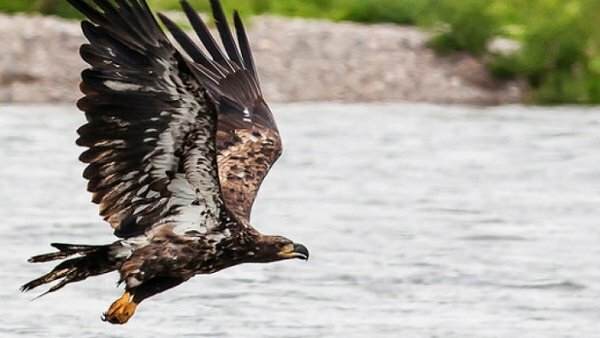 In case you missed it in the last Digest, here's the story of how the Dehcho First Nations, whose ground-breaking Dehcho K’éhodi Stewardship Program has been monitoring the lands and waters since 2016, recently expanded its scope to focus on a very specific pipeline monitoring need: an oil pipeline replacement across the great Mackenzie River itself. This program funds Indigenous climate change adaption and planning projects in Yukon, Northwest Territories and Nunavut. Eligible projects include Indigenous knowledge studies related to climate change impacts, vulnerability and risk assessments, and community climate change adaption planning. The program will be reviewing applications this fall, so get in touch if you need support developing an application.